Rick’s Heating & Cooling offers installation and replacement services on Armstrong Air gas furnaces, including the 91 Tech for homeowners throughout Morrow and the surrounding Ohio area. If you need a new furnace installed, consider the 91 Tech gas furnace from Armstrong Air. At Rick’s Heating & Cooling, we’ve been doing business in the Cincinnati area since 1986, providing expert furnace installation services in Warren, Butler, Hamilton, Clermont, and Clinton counties. Our certified and licensed technicians can replace and install a new Armstrong Air furnace, service and repair your existing 91 Tech furnaces (including emergency service 24/7), and even complete an annual maintenance inspection and tune-up on your system. If you’re looking for reliable and professional furnace installation service of a 91 Tech system, call Rick’s Heating & Cooling today—or keep reading to learn more about the benefits of choosing this gas furnace. With a single-stage gas control system, the 91 Tech ensures stable heat output to maintain even temperatures throughout the home. This means that your comfort never wavers, regardless of the changing weather conditions outside. It’s this kind of dependable performance that exemplifies Armstrong Air quality. The unique design of the 91 Tech furnace, which can bring combustion air to the furnace from outdoors, also provides two layers of steel between where combustion occurs and your living space. The fully insulated cabinet adds to the quiet nature of the furnace, keeping heat and sounds where you want them contained, within the furnace. The 91 Tech furnace features an AFUE rating of up to 91.0%. That means less energy is required to maintain the comfort of your home when compared to older, less efficient furnaces. In the short term, you save on utility bills. And in the long term, the energy savings can exceed what you paid for your furnace.† The 91 Tech is an ENERGY STAR® listed product. Now that’s a smart investment! Lifetime Limited Warranty on primary & secondary heat exchanger. 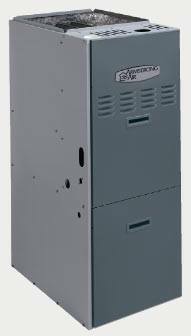 To have a 91 Tech gas furnace installed in your home in Lebanon, Morrow, Cincinnati or the surrounding Ohio areas, contact Rick’s Heating & Cooling. Our expert team of HVAC technicians has been proving exceptional furnace services to the homeowners of our area since 1986. We can help you properly size and fit not only your new furnace, but the ductwork as well—call us today at 513-899-6005 for a free estimate on qualified installations!